Qualys-Hotel Reims Tinqueux proposes you 4 “Stopover” packages at attractive rates. Theses formulas include a full diner including a drink (soft, glass of wine or beer) and a coffee.. The “Côté Cuisine” restaurant welcomes you in a vous accueille in a beautiful house of the city center of Reims, just a step from the place Drouet d’Erlon and of the Boulingrin market. You can appreciate the elegant and sophisticated decoration of the diner room or still enjoy to enjoy your meal on the kitchen room to attend the preparation of this home cooking of tradition. Located at 400 meters walking distance, this Italian restaurant and pizzeria offers delicious traditional Italian recipes. The dishes are made from fresh products selected with care from ORGANIC products. 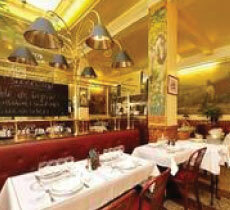 The restaurant offers pizzas cooked over a wood fire, antipasti, gratins and gourmet salads. Situated close to Ikéa / Maison+, this concept of micro-brewery will make you relive the atmosphere of the craft breweries of formerly. Native of the North of France, region of brewing tradition, the master brewer propose you beers brewed on the spot. 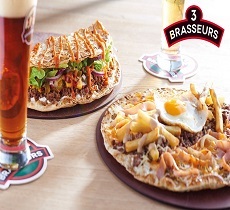 In the restaurant, it is also in the tradition which Les 3 Brasseurs proposes you a Flemish cuisine. The Color Bowl Restaurant & bowling welcomes you in a young and friendly atmosphere. The attentive staff is at your disposal to make your time a moment of relaxation, between colleagues or friends. A warm and friendly welcome, a relaxed atmosphere, attentive service, everything is for you to have a good time and a good meal. Enter a Buffalo Grill is like a stopover in the great West. 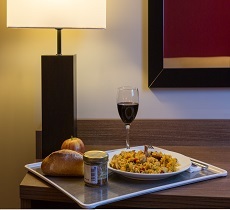 You can also discover original products and recipes flirting with America legend: bison steak, chili, burgers..
Qualys-Hotel Reims Tinqueux also proposes you a “snacking” set menu that is served on a tray meal. We invite you to choose through a menu of terrines, salads, hot dishes and desserts.